T. Sarikas Property Professionals - since 1977! Leading Cyprus Real Estate Agent. Cyprus Property for Sale and Rent. 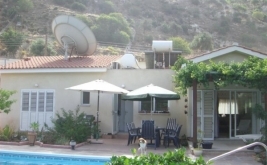 Cyprus Property to Let. A wide range of Residential and Commercial Cyprus Properties. Find your Dream Cyprus Home!! Cyprus Residential and Commercial properties for sale and rent by a leading edge & registered Cyprus Real Estate Agent based in Paphos - since 1977! Title deed available for transfer. A nice two bedroom apartment at a beautiful and organised complex in Voroklini, Larnaka, only 3 minutes' drive from the beach where all five star hotels .. This spectacular penthouse is situated high atop a prestigious project in Germasoyia, on the outskirts of Limassol, the heart of Cyprus. The stunning apartment is distinguished by a private rooftop .. Located in the area of Potamos Germasogeias, quite close to the sea (700 metres - 10 min. on foot), this residence consists of 5 luxurious apartments. 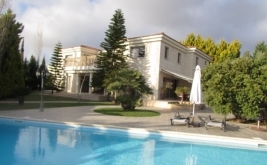 Unique 4 bedroom luxury villa in an exclusive golf resort in Tsada, Paphos. The villa was built 2 years ago, is elegantly furnished with Italian furniture and German appliances and .. Exceptional twin-building residential complex that sits just 200 m from Limassol’s beachfront in Ayios Tychonas, near the 4 Seasons Hotel. A captivating sea view is afforded from every unit, each ..
A new flagship residential project positioned along the stylish Seaside Promenade in east Limassol, this Resort is a sprawling 33,000 sqm luxury resort centered around a 29-floor iconic tower with .. Within the Limassol Marina with all its amenities, such as spa and fitness facilities and five-star restaurants, this beautiful 3 bedroom luxury villa for rent is directly on the sea ..
Beachfront Villa for rent at the Limassol Marina, this luxury property is directly on prestigious Limassol Marina beach and enjoys panoramic views from every corner of the house. T. Sarikas Property Professionals - Cyprus Residential and Commercial properties for sale - Exclusive Cyprus villas for sale in and around Paphos, Unique Paphos resale properties! A leading edge & registered Cyprus Real Estate Agent based in Paphos - since 1977! Leading Cyprus Real Estate Agent since 1977! An active member of the Cyprus Real Estate Agents Association ( CREAA ) and the International Real Estate Federation ( FIABCI ). Copyright 2017 | T. Sarikas Property Professionals - since 1977! All Rights Reserved.